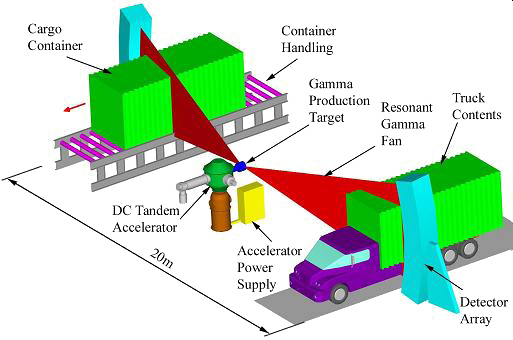 In collaboration with Budker Institute of Nuclear Physics (Russia), Brookhaven Technology Group developed a system that can detect conventional explosives and nuclear materials in autos, trucks, trains and shipping containers. The development of this technology was supported by the Department of Energy (DOE). 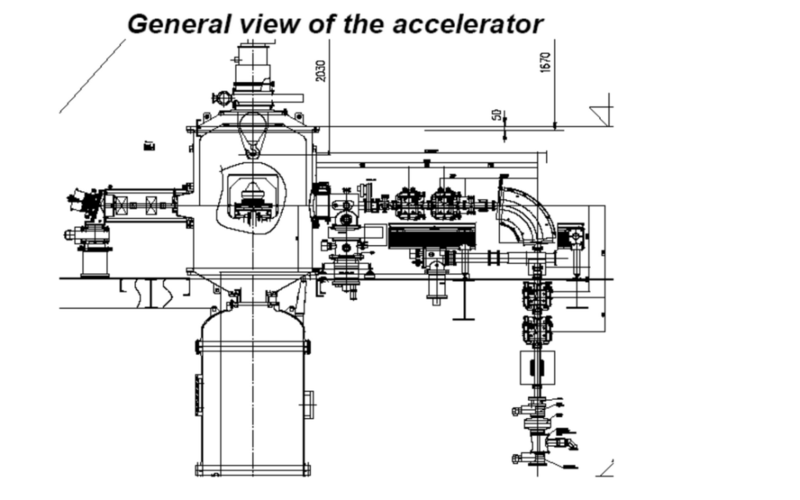 Accelerator-based technology that unambiguously interrogates and detects chemical explosives in closed and sealed containers was first proposed and investigated by Los Alamos National Laboratory and Israeli scientists following the crash of Pan Am flight 103 in 1988, but the R&D stopped when the perceived threat was considered to be too small to justify the cost of implementation. Since then, the technology has advanced considerably, becoming more and more cost effective. As the war on terror continues, accurate methods of detecting explosives, nuclear and other hazardous materials are vitally necessary. Existing x-ray scanning methods have serious limitations. X-ray images show only the effective density and amounts of material along particular straight paths through a container. They do not identify the material. The Photon Resonance Imaging (PRI) technology being developed by BTG directly and unambiguously identifies explosives, special nuclear materials and other chemically distinct substances. The PRI unit emits a controlled, tightly focused beam of penetrating photons that can see inside a sealed container. The radiation dose to objects inside is very low, but if chemical explosives are present or if there are nuclear weapons materials, they will produce a signature that will be recognized by sensitive electronic detectors and an alert signal will be sent to an appropriate responder. To make the system work requires a modification to the design of equipment currently used in the semiconductor industry to make computer chips. It consists of a low energy high current proton beam to produce the penetrating photon radiation, that together with appropriate sensors, signals the presence of specific materials. Ion sources and accelerators that can produce the high current beam with the required energy spectrum were not available in the 1990s. The new ion source and accelerator designed by scientists at BTG and the Budker Institute of Nuclear Physics accomplished this.